Dr. Giovanni Fazi is one of the few specialists in Italy in the field of Prosthodontics and Implant Dentistry. 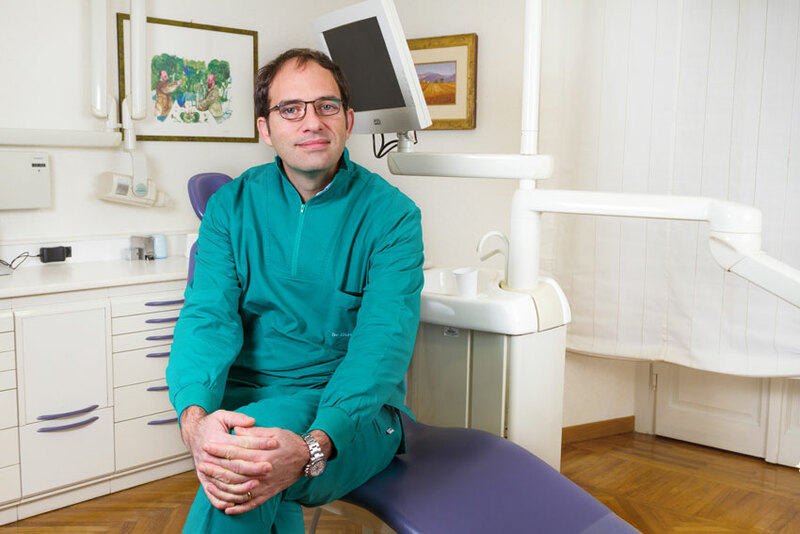 He also has twenty years experience in General dentistry, Periodontology, Prothodontics and Implantology. After his dental degree at the University of Florence (Italy). In 1998 he earned the title of "Master of Science in Periodontology at the Eastman Dental Institute of London (UK) after following a one-year full-time and discussing a thesis. In 2001 he became a Specialist in Prosthodontics and Implant Dentistry at the prestigious University of Southern California - Los Angeles (USA) after a three-year full-time course. Since 2001 he has practiced in his two clinics in Florence area. In 2011 he earned a Ph.D. in Biomaterials at the University of Siena in the field of expertise of new ceramic materials. He has taught at the University of Florence and Siena in the fiels of Prosthodontics and Implant Dentistry. Author of several scientific communications in international journals. He is member of professional associations in Italy and abroad. He currently works, as for the past fifteen years, in private practice in his two dental clinic in Florence and Empoli.